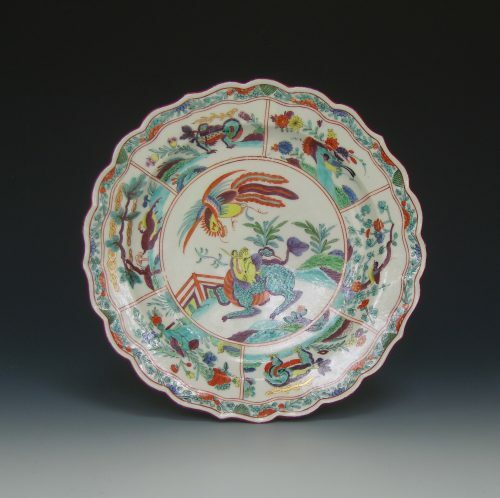 of lobed and pleat shape, painted in the famille verte style with the ‘Bishop Sumner’ pattern with a dragon and kylin in the centre and radiating panels and landscape vignettes, all containing a birds or exotic animals. 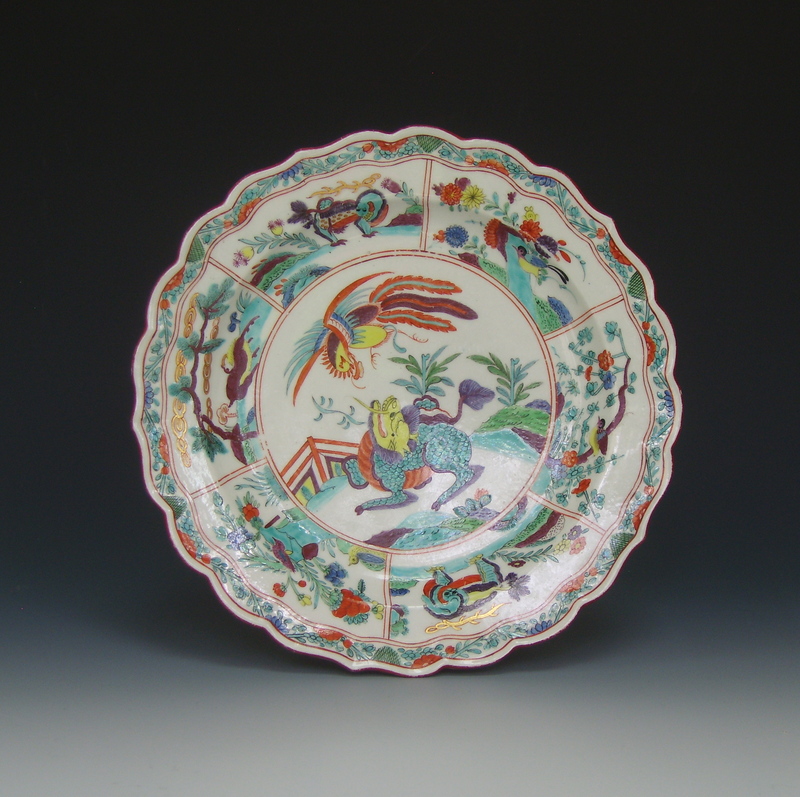 The pattern is a direct copy of a Chinese Kangxi original from the early 18th century. It is not known for certain how the pattern acquired its name. Possibly from belonging to a Bishop’s collection in the 19th century.